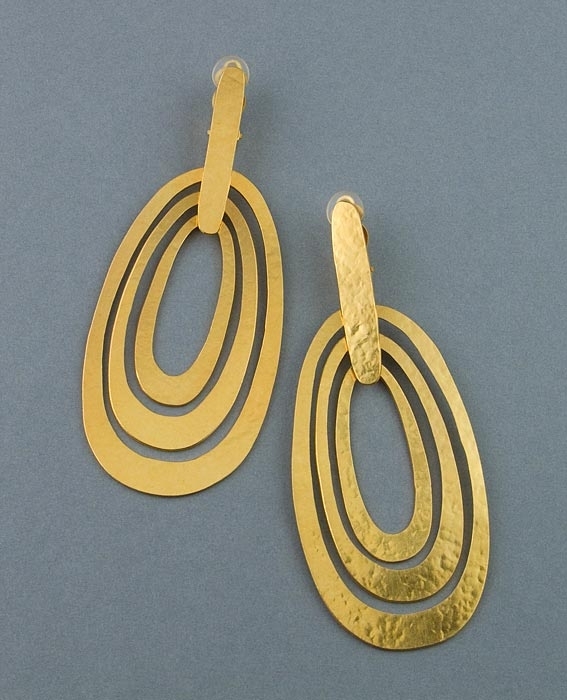 is been made with three sizes of oval shapes, dangling by a long hand-hammered gold strip. Earrings come with a clip back and measure 9cm (3.5") long in total. glamour to any outfit. Also makes a perfect gift.